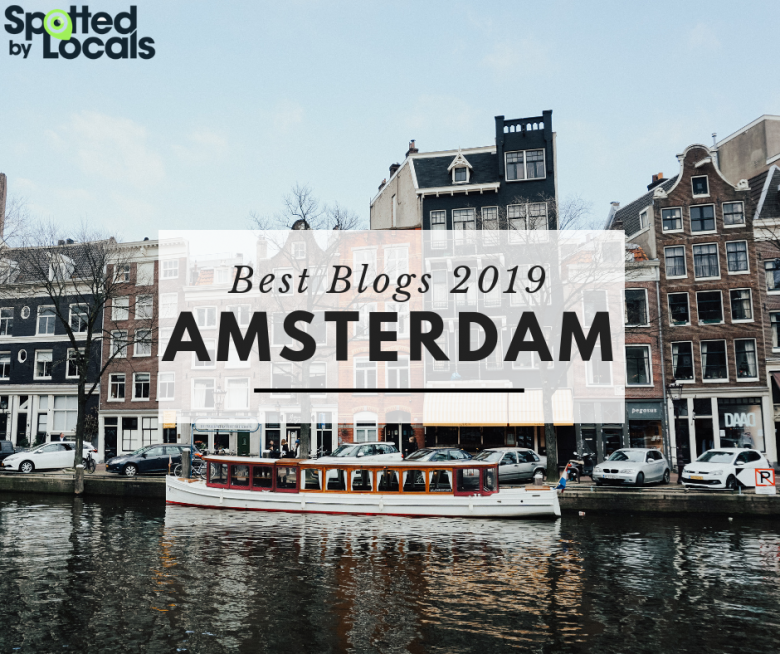 When looking for an “unusual” experience in Amsterdam, there are a few things that spring to mind immediately. This is not (or should I say — it wasn’t until now) one of them. Not many people know, but Amsterdam is one of a select few cities in Europe, apart from London and Berlin, where one can experience eating in the dark. And by dark I mean complete and utter darkness, not just some shadows in the room. I wanted to try it ever since I first read about this novel idea: eating in the dark sounded like an interesting experience, the kind that can go terribly wrong or totally right. It all started with a cadeaubon (gift voucher) for tasting chocolate in the dark. But once we were there, we decided that we had to enjoy the complete experience — not only the chocolate, but also the dinner. Easy said, easy done: the reservation can be made on-line, with only a few clicks, on the cTaste website. We arrived there with many questions on our mind, as if we were going on a quest: “How would one find the cutlery? Is there any cutlery at all? Will anyone give us instructions about how to eat? Will the bathroom be dark too?”. All our worries went away when we arrived there and were greeted in a sunny lounge, offered a drink and asked about what kind of a menu we wanted to have. There are only a few set menus to choose from, and you won’t know what will be on your plate until it actually arrives — and then, only if your smell will guide you well and your taste won’t trick you. Our choice was the vegetarian menu (starter, main course and dessert) plus the chocolate tasting we had in mind from the beginning (and yes, that meant we got to enjoy a double dessert — yummy!). The conversation with the host did not cover all the details or answer all our questions, heightening our sense of anticipation: we found out that we were to enter the dark room of the restaurant guided by the waiter, we’d get some help to sit at the table and then we’d be left to figure out ourselves how to eat and drink. After finishing our drinks in the lounge, the waiter came to take us to our table. Now here comes the funny bit: they ask all guests to leave their bags and every possible light source in special lockers outside the dining area. It’s obvious that a phone screen would completely ruin the experience for everyone else, but also any bag could easily become a liability for you to take care of in the dark, so it’s better to heed the advice and go in without any object that you might lose or otherwise find distracting. Now for the tough part — which would be the greater challenge: eating in the dark or staying away from calls and messages for a couple of hours? Soon enough the food started to materialise — no, not really, but the way it was brought and placed in front of us without any visual cue made the experience that much more surreal. It was good, tasty, employing various flavours and textures to great effect, and even had some tricky ingredients in the dessert. We especially enjoyed the main course which was very well designed for such an experience. The weak point however was the dessert: I for one was expecting a hot & cold combination for the added impact, and it didn’t disappoint with a nice piece of ice-cream; but for sure more interesting flavours, textures and temperatures could be found to create special sweets… The one that we had was also flooded with too much cinnamon — or maybe it was only the darkness enhancing the flavour so much? Talking about flavour, if there is one negative to our otherwise excellent experience in this restaurant, that would be the smell inside the dark room: the staff said it was coming from the space odouriser that was being used, that they didn’t like it either and it would be replaced. Thinking about it, that could well have been the cause, since the smell was not permanent, just coming up in waves from time to time. In any case, I hope it will be changed because in a place where smell is paramount, having a bad scent mixed with the food is the worst thing that could happen. After the dessert, we reached the focal point of the evening: chocolate tasting, which turned out to be chocolate fondue with pieces of fruit. A word of caution — don’t try this if you intend to leave the restaurant without “accenting” your clothes with chocolate; but who cares about that when it tastes so appealing? It’s probably the funniest and sweetest of the experiences they offer and it can also be quite romantic if you try to feed your partner with fruit covered in melted, hot, pouring chocolate… Ladies, just don’t wear your best dress when you go for this! The entire adventure was very special; we will repeat it at some point, as it seems they are creating some new dishes for returning customers. There are also some other things to try, like wine or beer tasting or a cheese platter. A strange thing to notice was that we spent quite a lot of time in there, which we only perceived like half of what it was; we therefore must conclude that time flows quicker when spent in the dark, especially when learning new skills like how to pour water from a bottle into your glass without spilling it on your pants 🙂 Oh, I almost forgot to mention a little sweet touch at the end — when we left we received a small pot with Forget-me-not seeds to grow at home! How to get there: the restaurant is located on Amsteldijk 55, in a nice and quiet area on the Amstel River. The closest public transport stations are Amsteldijk (trams 3, 12) and Lutmastraat (tram 4) as well as the metro station Wibautstraat (metro 51, 53, 54). Heartily recommended! Who should try this? Everyone, except the ones suffering from achluophobia — the fear of darkness.